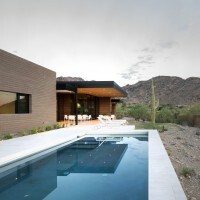 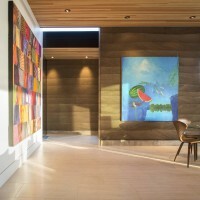 Kendle Design Collaborative have designed a rammed earth house in Paradise Valley, Arizona. 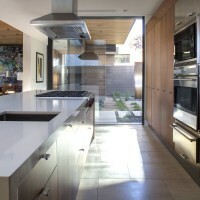 A modest single story hillside home designed for a family wishing to downsize and simplify. 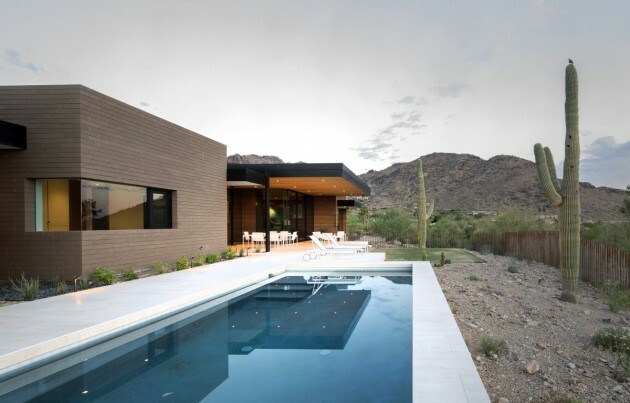 The feel of this home is evocative of the mid-century modern homes which once dominated the surrounding area before the McMansion craze of the last decade. 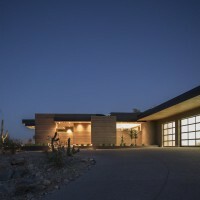 Humble, natural materials such as rammed earth walls, limestone floors and Douglass Fir wood ceilings are woven inside and out in a sophisticated play of interlocking interior and exterior living spaces. 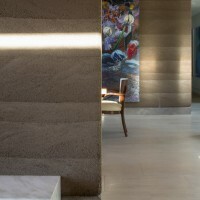 The scale of the home is decidedly “cozy” and visually calm with a minimalist approach to materials and detailing, allowing the focus to be on art and nature, meeting the owners goal of creating a home of simple sophisticated elegance without being boastful.